Costco Wholesale Corporation does not satisfy the requirements of either the Enterprising Investor or the more conservative Defensive Investor. The Defensive Investor is concerned with the low current ratio, high PEmg and PB ratios. 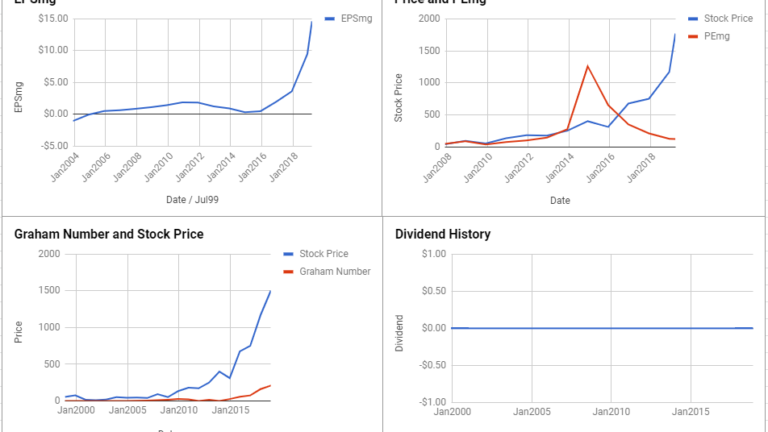 Amazon.com, Inc. does not satisfy the requirements of either the Enterprising Investor or the more conservative Defensive Investor. 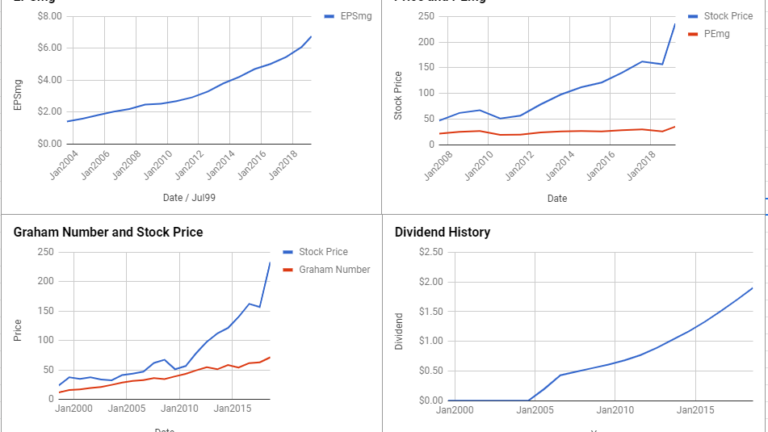 The Defensive Investor is concerned with the low current ratio, insufficient earnings stability over the last ten years, and the poor dividend history, and the high PEmg and PB ratios. Target Corporation does not satisfy the requirements of either the Enterprising Investor or the more conservative Defensive Investor. The Defensive Investor is concerned with the low current ratio, insufficient earnings stability or growth over the last ten years, and the high PB ratio. CVS Health Corp does not satisfy the requirements of either the Enterprising Investor or the more conservative Defensive Investor. The Defensive Investor is concerned with the low current ratio, insufficient earnings stability over the last ten years. 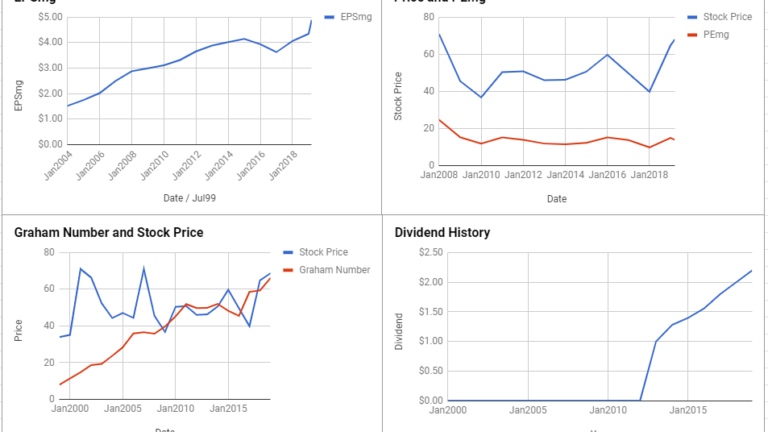 Ulta Beauty Inc is suitable for the Enterprising Investor but not the more conservative Defensive Investor. 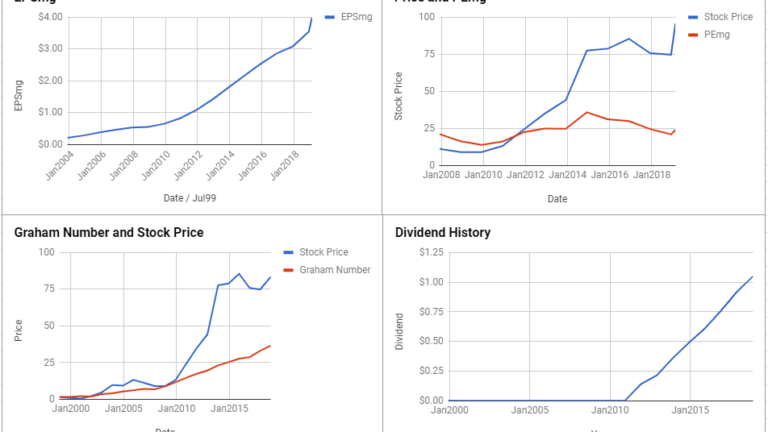 The Defensive Investor is concerned with the poor dividend history, and the high PEmg and PB ratios. 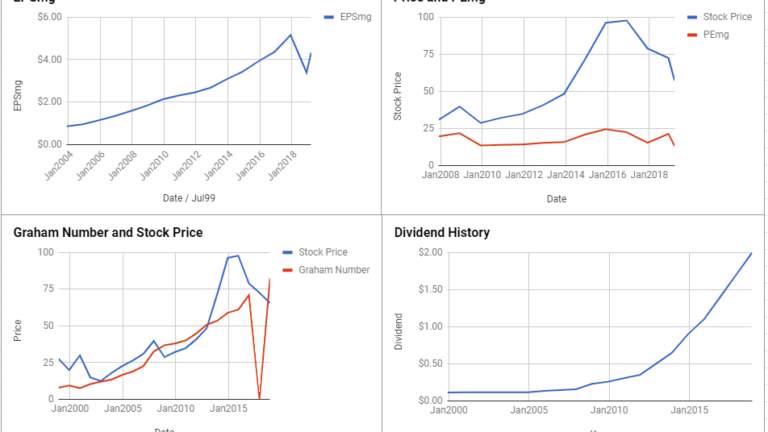 Kohl’s Corporation is suitable for the Enterprising Investor but not the more conservative Defensive Investor. The Defensive Investor is concerned with the low current ratio, insufficient earnings growth over the last ten years, and the poor dividend history. 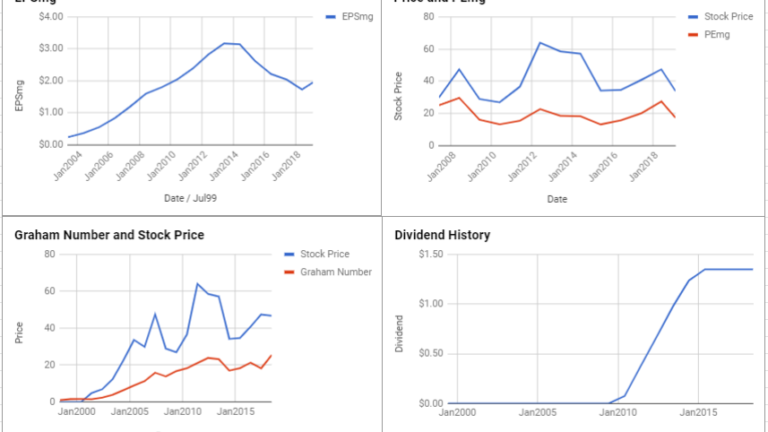 Dollar Tree, Inc. does not satisfy the requirements of either the Enterprising Investor or the more conservative Defensive Investor. 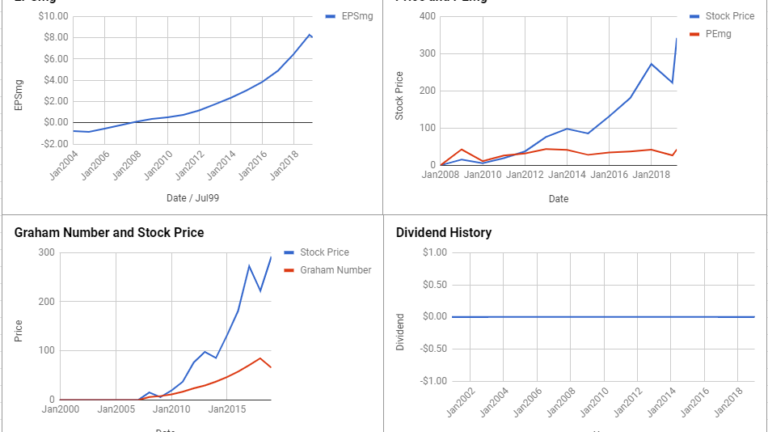 The Defensive Investor is concerned with the poor dividend history, and the high PEmg and PB ratios. 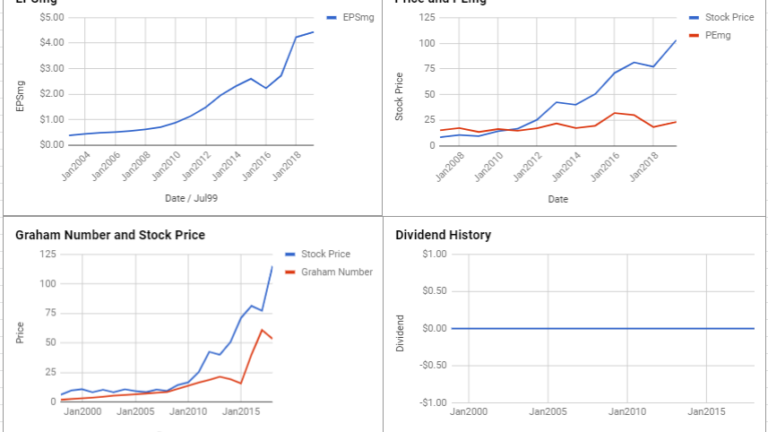 TJX Companies Inc is suitable for the Enterprising Investor but not the more conservative Defensive Investor. The Defensive Investor is concerned with the low current ratio, high PEmg and PB ratios. 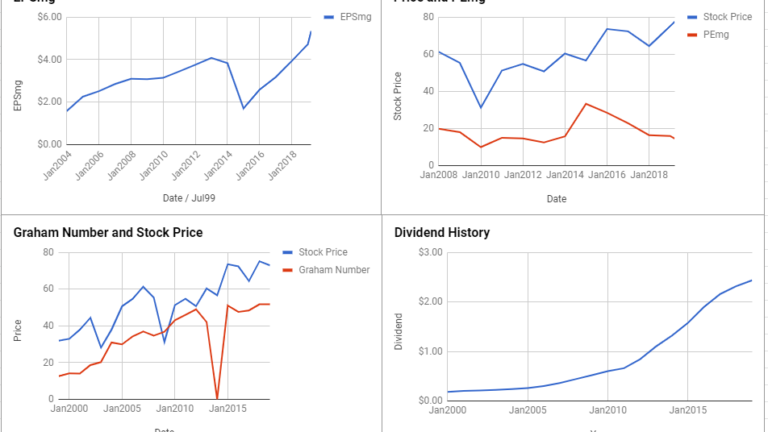 Tractor Supply Company is suitable for the Enterprising Investor but not the more conservative Defensive Investor. 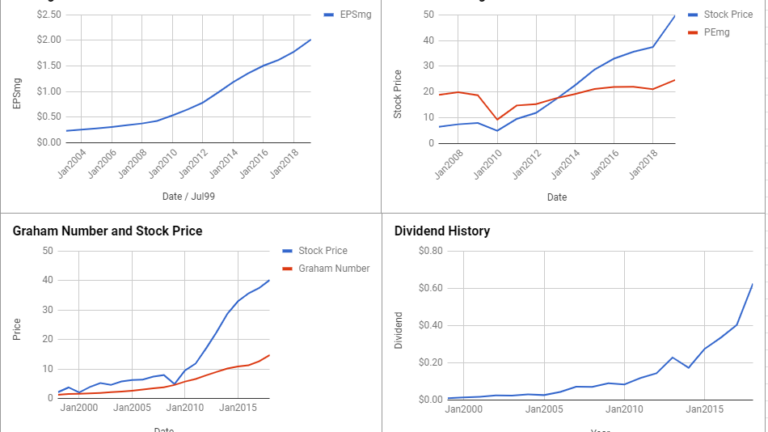 The Defensive Investor is concerned with the low current ratio, poor dividend history, and the high PEmg and PB ratios. Tapestry Inc is suitable for the Enterprising Investor but not the more conservative Defensive Investor. The Defensive Investor is concerned with the insufficient earnings growth over the last ten years, and the high PB ratio.